I love exclusives like this 10" action figure that seems to have only been available in Japan and France. 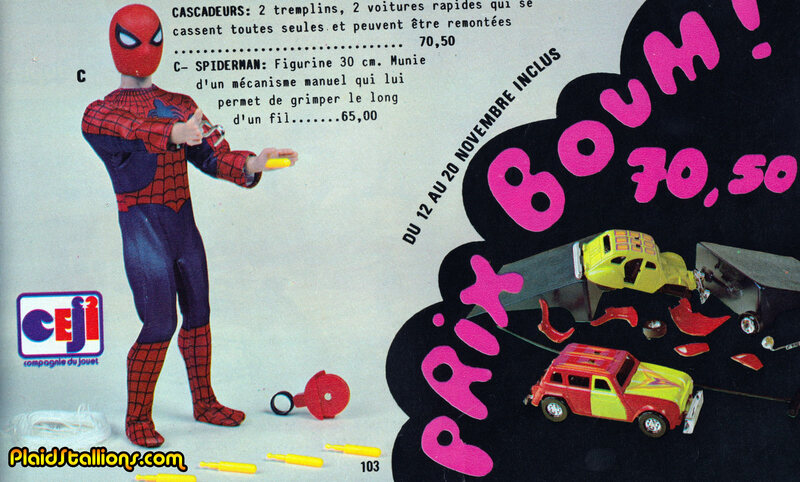 This Spider-man has 2 superpowers, 1) he can shoot missiles from his wrist and 2) he can tow your car out of a ditch. Well...I guess you don't get paid much, for being a superhero.